This affordable, high quality, solid state GaAs amplifier is designed for multiple wireless markets. 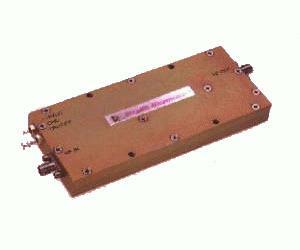 With 1 GHz of instantaneous bandwidth, the amplifier can be used in most wireless applications. The unit uses the latest surface mount technologies to provide numerous features, while maintaining a very small size. Features include a Single DC Supply, Over Voltage Protection, Thermal Protection with Auto Reset, and Logic On/Off Control.